What was distinctive about Christian biography in late antiquity? In this 2008 book, Dr Williams examines a range of biographies of prominent Christians written in the fourth and fifth centuries, and suggests that they share a purpose and function which sets them apart from their non-Christian equivalents. This was an age in which the lives of saints first emerged as a literary phenomenon, and a broad perspective on this developing genre is complemented by close readings of more problematic works such as Eusebius of Caesarea's Life of Constantine and the Confessions of Augustine of Hippo. In including such idiosyncratic examples, the aim is to provide a definition of Christian biography which extends beyond mere hagiography, and which expresses an understanding of the world and the place of individuals within it. It was a world in which lives might be authored by Christians, but could be authorised only by God. 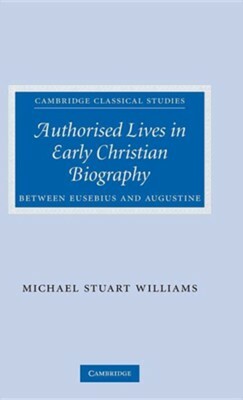 I'm the author/artist and I want to review Authorised Lives in Early Christian Biography: Between Eusebius and Augustine.